Mango and White Ginger. Sprouted Mineral Greens. Sea Cucumber. What reads like a farm-to-table restaurant menu is actually a roster of latest and greatest culinary inspired beauty products. 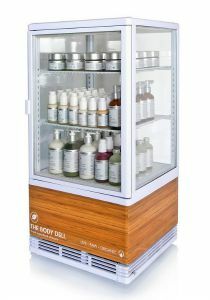 The Body Deli – With products handcrafted by master “Cosmetic Chefs” each day, this pioneer of fresh, raw, organic skin and hair care feels that refrigeration is the key to high-performance results. They believe it is the raw, living state of the products’ phytonutrients that make them so effective, in contrast to the majority of products that have to undergo excessive heating, stabilizers and aggressive chemical preservatives to achieve a 2-5 year shelf-life. Our experience with the Radiance Enzyme Superfood Peel ($48) was a good one. Made with fresh uncooked superfoods combined with wild harvested therapeutic grade Manuka Honey, one application left our skin with a lovely, lasting glow. Clique by Roble– Inspired by the concept that 80% of taste is smell, Bravo reality show star Chef Roblé collaborated on a fragrance that combines the fresh top notes of one of his signature cocktails – the Chupacabra – with the sensual base notes of his favorite dessert – French Toast Crunch. 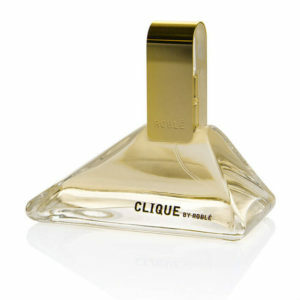 The brand has expanded to include body products and a scented nail lacquer. You can find his recipes and more on Clique by Roblé. 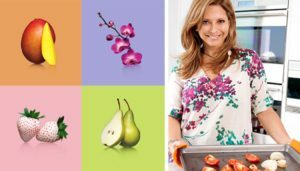 Olay Fresh Outlast Body Wash and Bars– Olay worked with Food Network chef Ingrid Hoffmann on exclusive recipes inspired by the four Fresh Outlast fragrance profiles. The recipes are featured on the Olay website under the heading Skincare Tips – a noteworthy nod to the connection between the food you eat and the health of your skin. 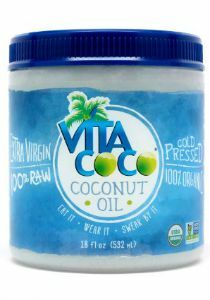 Vita Coco– Known as one of the leading coconut water brands, Vita Coco recently introduced a raw, cold-pressed organic coconut oil in an effort to capitalize on coconut’s expansion into personal care. With the tagline “Eat It. Wear It. Swear by It.”, the oil is positioned for use in both the kitchen and as part of your beauty regimen. Morton Salt – Probably the most recognizable mass-market salt brand (who doesn’t know the iconic Morton Salt Umbrella Girl?) Morton’s has made a move into the beauty arena with its introduction of Morton Epsom Lotion and Natural Epsom Bath Salts. As we outlined in our post on the benefits of Himalayan salt, salt has found a permanent place in the wellness category and Morton saw an opportunity to battle for beauty dollars. 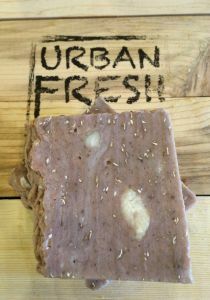 I’ll be following this culinary inspired trend to see how it evolves – I wouldn’t be surprised if the California Milk Advisory Board decides to launch a line of skincare promoting the benefits of lactic acid and featuring the Real California Milk seal! Have a product you love that fits this trend? Share it with us in the comments below!